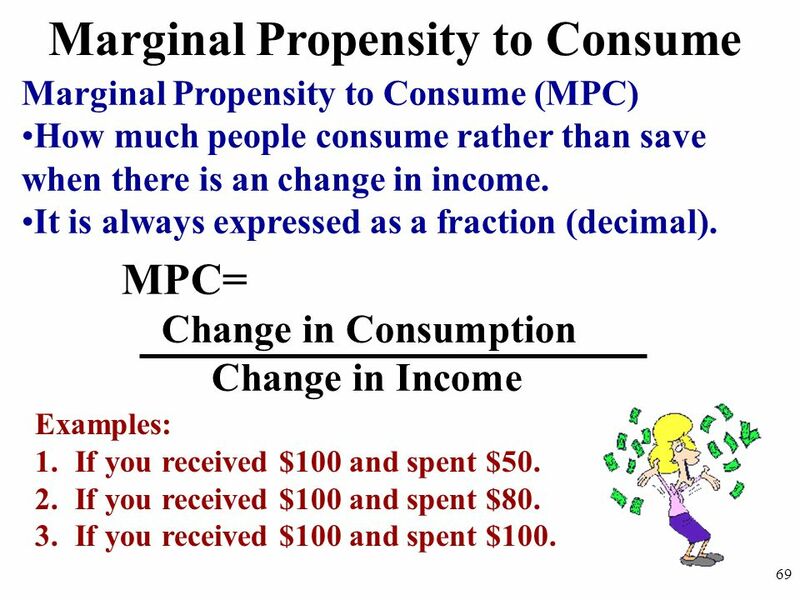 If a single parent earns $2000 a month and spends it all on raising her child her MPC =1, or 100%. Her MPS, or Marginal Propensity to Save , is zero . In fact, she probably often has to borrow. Of course, she only has to work harder to be successful . A successful inheritee has $200,000 a month to spend . Most months he only spends $100,000 . His MPC is 0.5 , or 50% . He often invests the other 100,000 in tax-free muni bonds or in the off island tax sheltered accounts. His savvy use of money helps make America great .